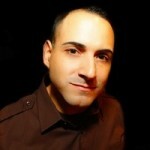 Michael Brito, Senior Vice President of Social Business Strategy at Edelman, is a Guest Contributor to the HootSuite blog. This is Part 2 of an excerpt from Michael’s book, “Your Brand: The Next Media Company”. View the first part here. Customers are unpredictable and their daily lives are dynamic. And when you combine that with the fact that there is a content surplus in the market place and that consumers have an attention deficit, it makes it that much harder for you to reach them with your message. 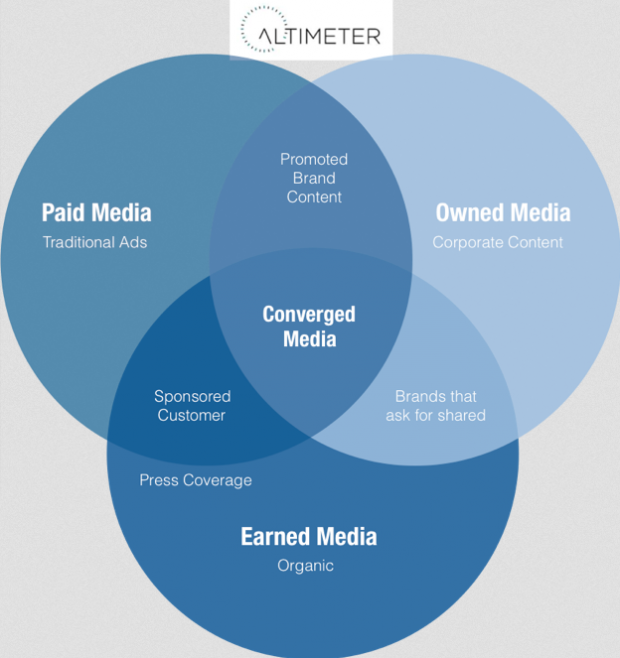 This is why converged media is important to your brand’s content strategy. What you do on your owned media channels alone cannot scale or allow you to grow your online following effectively. Of course, it’s good to optimize your corporate website, blog and online community for search, and provide compelling content to your existing communities. That’s a given. But without integrating your owned media initiatives with paid media, for example, you cannot reach the mass market with game-changing content. And the same thing can be said with paid media. Traditionally, and before social media was even invented, paid media was pretty much the only channel for brands to communicate with customers outside of public relations. With the rise of social networking and increase in general content proliferation, it’s difficult to reach your customer with just paid media. Plus, they normally reject, filter out or flat out ignore traditional advertising alone. While earned media, assuming it’s positive, is always good for your brand, you cannot ignore this content and hope that it continues day in and day out. In addition to general community engagement and building customer advocacy, a much larger opportunity exists when you can integrate earned media conversations into both paid and owned media. Imagine a situation where you are using the power and reach of paid media to highlight customers that are saying great things about your brand. It can be done with converged media; and that content is trusted. Consumers need to see, hear and/or interact with your message 3-5 times before they will start to believe. The only way to do this is to use various forms of converged media. Paid media has reach. In minutes, you can get your content in front of millions of people. And, when you can push content that “adds value” like highlighting user stories (earned media) your traffic numbers can potentially explode and consumers may start to trust your messages. Whenever you post a status update on your Facebook page, you only reach between 8 – 10% of your current fan base. So, by your organic updates into promoted posts, you can reach a higher percentage of your community. By leveraging your earned media, and displaying it within your owned channels, you are essentially building brand advocacy and also allowing those consumers who love you to help tell your brand story. The truth is, if you fail to integrate and align paid, earned, and owned media; you will now be at a disadvantage. You should be less concerned about what your competitors are doing and the space and more concerned with the billions of Tweets, Status Updates, text messages; as well as the 3,000 or so marketing messages that interrupt consumers’ lives every day. According to the Altimeter Group, Marketers who fail to learn to reconcile paid, owned, and earned media today will be at a distinct disadvantage and may find themselves scrambling to try and catch up. This is an excerpt from the book, Your Brand: The Next Media Company which is now available for preorder on Amazon. Alternatively, you can learn more about the contents of the book by joining the Facebook fan page.